CHRISTMAS CAN BE a very stressful time of year for the best of us but it can be especially difficult for some people with autism. Planning and preparation can be the key to a ‘perfect’ Christmas. A perfect Christmas – what is it? We are bombarded with images of contented, joyful, well-behaved children, family homecomings and perfectly roasted turkeys placed on beautifully decorated tables. Families are under such pressure to live up to a sort of fairytale and the reality for many of us couldn’t be more different. If you are a family who must adjust to the needs of a child diagnosed with an autism spectrum condition then your Christmas is possibly going to look, feel and taste somewhat different. 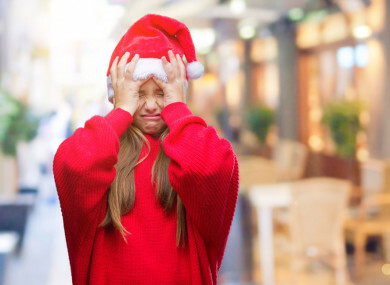 The holiday season can be an intense time and when you are vulnerable to becoming overloaded by sensory stimulation, it doesn’t come more overloaded than Christmas and the lead up to it. Much of what we expect to encounter during the festive period season can pose difficulties for others. From Christmas music, the scent of minces pies, shiny tinsel, flashing fairy lights, and Santa Claus smiling at you from cards, the TV, and a few real life ones popping up in unexpected places at the wrong time, it is overwhelming. This is not to mention crowds of people shopping for presents and shelves heaving with toys of every imaginable kind. For children who experience difficulties in social communication, social behaviour and sensory overload, Christmas can be a source of extreme stress, as they find themselves overloaded by sounds, vision, taste, smell and movement. To quote the title of the book by Sharon Heller, on the subject of sensory defensiveness ‘Too Loud, Too Bright, Too Fast, Too Tight’ – Christmas can be a nightmare of anxiety and stress for both parents and children with autism, at least until we figure out how to do it well for our particular family. In the early years of getting to know our daughter we did our best to live up to the advertisers’ dreams. We soon learned that Christmas was presenting us with a number of problems. When does it start and when does it end? They created their own advent system, she says and encouraged their daughter to participate in tearing off a dated ticket for each day in the run up to Christmas. They wrote something about the day and each ticket and then they put the ticket in a box. “This is how our daughter learned to count down the days to Christmas and to pretty much anything after that,” says Maria. Emotionally her daughter couldn’t cope with all the presents at first – when she was four, she came down to see the array of gifts left under the tree and just went straight back up to her room. But over the next few Christmases, she learned to adjust. “She grew into that particular joy as the years went on and that’s the thing,” says Maria. Autism is not a static condition, it shifts and shapes and changes with context, time, experience and support. My son sat down to Christmas dinner, took one look at the splendid display of Christmas fare and left the table. He came back into the room with a packet of soup. That says it all. Preparation is key – consider the use of schedules or social stories. Keep the person with autism involved. As your house may change with Christmas decorations and flashing lights, consider the effect these have and perhaps gradually decorate the house, using photo images in advance. People who do not ordinarily stay or visit the house may appear with no warning or preparation for the person with autism. Prepare strategies to minimise anxiety and involve family members. The food that is being eaten around the Christmas period may be different. Plan and discuss the food where possible. Aim for whatever makes the perfect Christmas for your family. Shops and public places will have increased noise levels and increased crowds at Christmas. Consider what effect this may have and have a plan ready and share it. Not all of the above will impact all people with autism. However, it is important to be aware of the myriad of changes that can occur at this time of the year. The wish for all families is that they have ‘their perfect Christmas’ and that means the perfectly unique, special Christmas that works for their family with autism. Email “Too loud, too bright, too fast, too tight: Christmas can be a nightmare of anxiety for children with autism”. Feedback on “Too loud, too bright, too fast, too tight: Christmas can be a nightmare of anxiety for children with autism”.